After a brief introduction on ‘Considering the Allure Toward Water,’ the couple delves into a soup-to-nuts manual that takes the reader from the boat selection process to purchasing, getting educated, moving aboard, and raising a family. 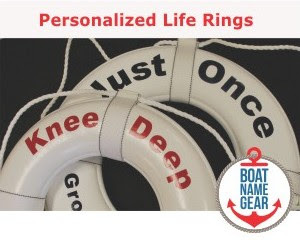 They provide tips for every part of the boat, and a chapter on maintenance that will inspire even the most lethargic boat owner to get out the buffer. They even go so far as discussing international travel, rules and regulations, customs and border protection advice, and how to deal with postal mail and paying bills. 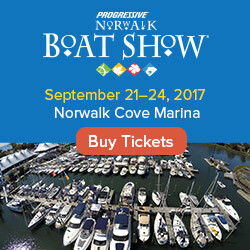 This book is by no means a comprehensive international cruising guide—like Sail Away: How to Escape the Rat Race and Live the Dream by Nicola Rodriguez – but it is a fantastic starting place for anyone thinking about abandoning the traditional mortgage and property taxes and taking to the water as a primary residence. One commonality for the KnotsandBoats mantra was the incessant admonition of continuing education. To that, I would add the theme of, ‘it was hard, but it was worth it.’ Between those two underlying messages, I felt I gained a great deal of information and inspiration. 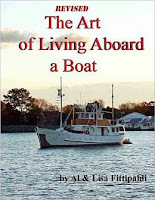 I highly recommend the read, particularly in those cold winter months when you need a daydream or two to keep your boating spirit alive.